Entrepreneur and philanthropist Thomas Denny Sanford was born in St. Paul, Minnesota. After graduating from the University of Minnesota in 1958, Denny had a career in sales, marketing, and materials distribution. He then established Contech Inc., a Minneapolis-based manufacturing company. In 1986, he purchased United National Corporation in Sioux Falls, South Dakota (now First PREMIER Bank), and built it, along with a newly-formed credit card company (Premier BANKCARD). The success of these two companies contributed to the economy and created more than 3,000 jobs within the state of South Dakota. Upon forming his foundation for charitable giving, Mr. Sanford’s initial focus was to help sick, disadvantaged, abused and/or neglected children. To that end, he has been a long-time supporter of the Children’s Home Society in South Dakota. He has donated money to the Children’s Home Society to build the Sanford Children’s Hospital in Sioux Falls, as well as the T. Denny Sanford Mayo Clinic Pediatric Center in Rochester Minnesota; and the T. Denny Sanford Pediatric Center at Florida Hospital for Children. Mr. Sanford has pledged $70 million for the Homestake Mine Underground Laboratory Research Program in Lead, South Dakota, and donated over $400 million to the Sioux Valley Health System in Sioux Falls (now Sanford Health), whose major initiatives include developing children’s clinics worldwide and whose research center focuses on finding a cure for Type 1 Diabetes. Most recently, he gave Sanford Health $100 million to establish the Edith Sanford Breast Cancer Research Center. In California, he supports the Sanford Burnham Prebys Medical Discovery Institute, the Sanford Consortium for Regenerative Medicine, the Salk Institute, UCSD, and Children’s Hospital of Los Angeles. 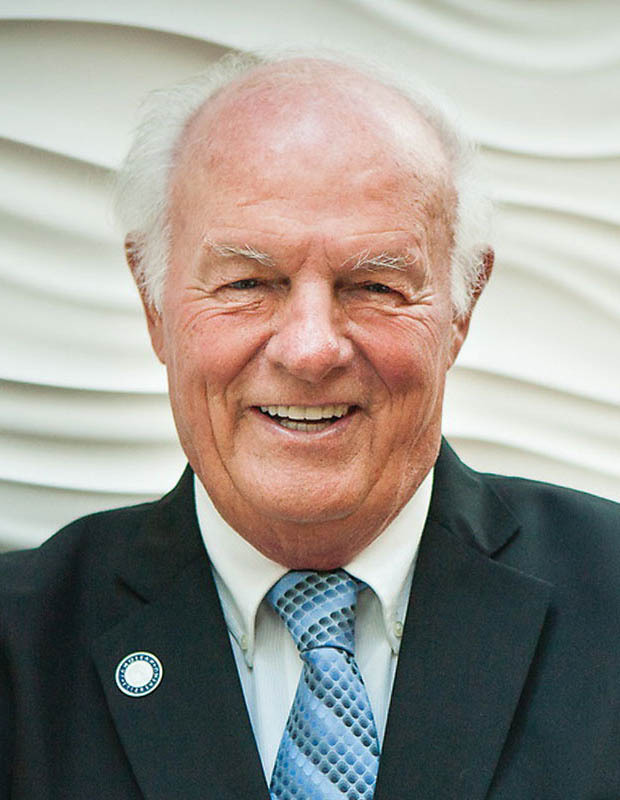 In December 2013, Mr. Sanford provided an inaugural gift to San Diego-based National University, a private nonprofit institution, to lead the expansion of programs nationwide that strengthen the education and nonprofit communities. The programs include Sanford Harmony, Sanford Inspire and the Sanford Institute of Philanthropy. “As a philanthropist dedicated to distributing my wealth to causes I believe strongly in, few things are as gratifying to me as seeing the transformational impacts of effective fundraising. Fundraising by cause organizations drives research that saves people’s lives, helps young children succeed in life and school, and creates improvement to our communities and the world at large. My goal with the Sanford Institute of Philanthropy is to impact the financial reach of nonprofits so that they maximize their positive effects on their communities. We are doing this by disseminating the advanced education and training of fundraising leaders that combine proven sales and business principles with the passion and dedication of nonprofits and cause organizations.